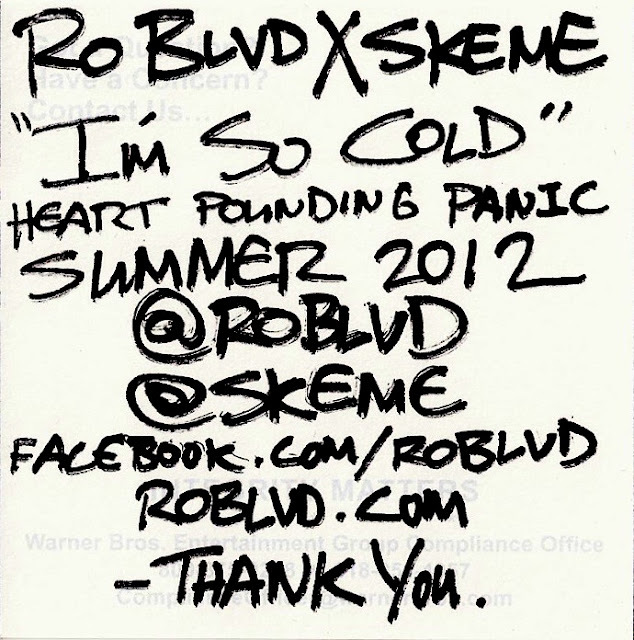 Shortly following the release of the first single “Great Going Good", featuring past collaborator Thurz, last October, the release date for Ro BLVD's forthcoming compilation album Heart Pounding Panic (originally due out in January) was pushed back. However, despite the delay the California producer has delivered the second single off Heart Pounding Panic this time bringing along another fellow Californian, Inglewood rapper Skeme, for the ride. The Duke plies his trade effortlessly as he confidently goes in over Ro's production. In addition to "I'm So Cold" check out “Great Going Good”, and look out for Heart Pounding Panic tentatively slated to be released this summer.